Requirements: Windows 98/2000/XP/2003/Vista/2008/7/8/8.1/10, 32bit or 64bit. FairStars HashFiles is a free utility that allows you to calculate the MD5, CRC32, SHA1 and SHA256 hash of one or more files. You can easily copy the MD5/SHA1 hash information into the clipboard, or save them into text file. Calculate the MD5, CRC32, SHA1 and SHA256 hash value of one or more files. SHA256: requre Windows XP SP3 or later. If you are a Windows 98/ME user, you may download FairStars HashFiles Non-Unicode Version. FairStars HashFiles doesn't require any installation process or additional DLL files. 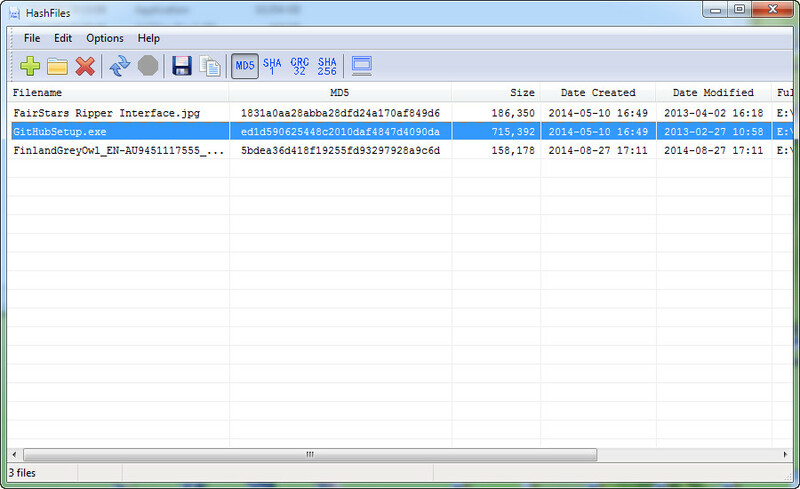 In order to start using it, simply run the executable file (HashFiles.exe). After you run it, you can add files that you want to view their hash value, and you can do it by using the 'Add Files' or 'Add Folder' menu item( or button in toolbar), or simply by draging the files and folders from Explorer into the main window of HashFiles. This utility is released as freeware. You are allowed to freely distribute this utility via CD/DVD ROMs, Internet, or in any other way. You may not charge any fee for the copy or use of the software itself, but you may charge a distribution fee that is reasonably related to any cost you incur distributing the software (e.g. packaging). If you distribute this utility, you must include all files in the distribution package, without any modification.